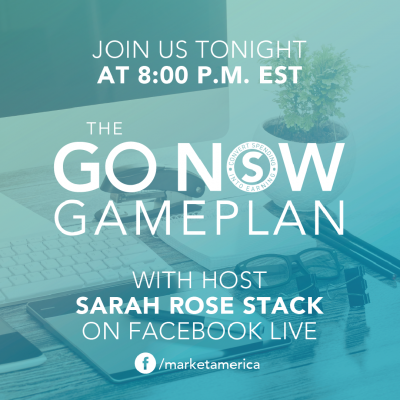 Tune in for tonight’s special edition of The GoNow Gameplan with Sarah Rose Stack as she shows you how to make the most of this week’s 2019 World Conference in Miami. This event is going to have a monumental impact on your success this year, and Sarah will show you some great social media strategies for #MAWC2019, along with other useful information to help you really capitalize on this excellent learning opportunity. I’ve included below the official announcement for tonight’s show – be sure to share this information with your team so everyone knows about this excellent training on Facebook Live! Tune in and learn how to make the most of #MAWC2019! 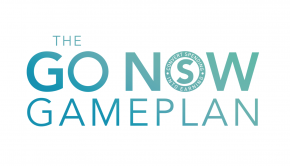 Join us for the GoNow GamePlan, hosted by Director of Business Integration Sarah Rose Stack, for updates, announcements and business-building strategies. 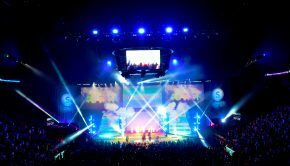 The show will stream live on Market America’s Facebook page so be sure to catch it live! 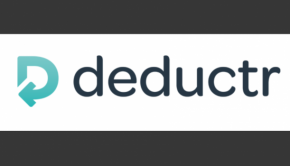 Don’t miss out; the goal is to keep everything simple, fun and easy to implement. Bonus: All previously recorded shows are now available to watch on the Shopping Annuity YouTube channel.